Pinterest is a delightful place to go and spent lots of time! 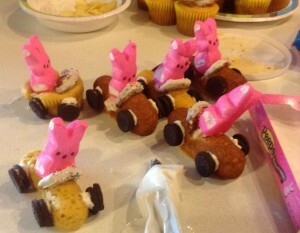 A few weeks ago I came upon a picture of a bunny car made with Twinkies. I just had to give it a try when I went to visit our grandchildren. The bunnies are Peeps, of course. The steering wheels are mini pretzels dipped in melted white chocolate then sprinkled with tiny colorful sprinkles. The tires are mini Oreos. Lots of fun. The children could eat them in an instant. We made the Twinkies. Another day we will talk about that process. One day I found a free booklet of kids activities and thought of our grandchildren. I also thought of the seminary students. 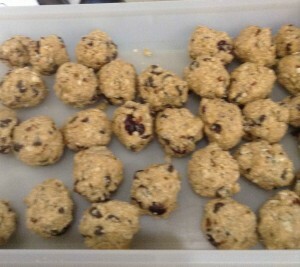 Some of the ingredients were not something I had handy such as hemp and goji berries. Recipes are just suggestions, is my view, so I made some substitutions. For several years our church ladies have spent an evening before Valentine’s Day dipping chocolates together. 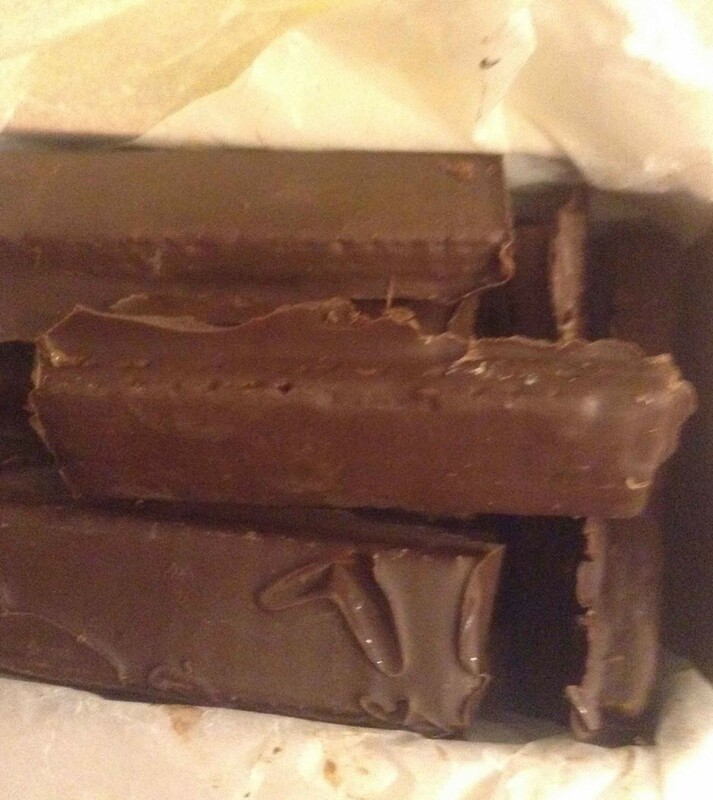 Sisters bring all their “stuff” including a bowl, chocolate or candy coating wafers, cookie sheet and waxed paper or parchment paper, and whatever they want to dip in their melted chocolate. 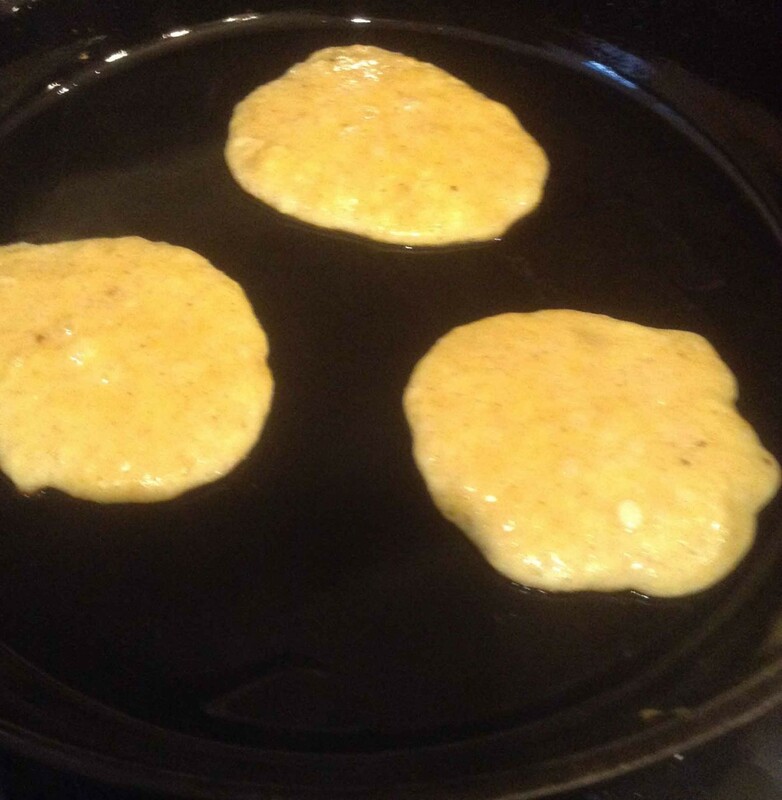 Pancakes with Only Two Ingredients! 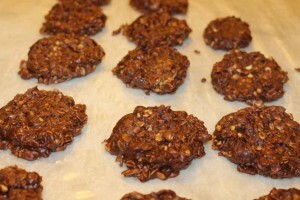 Recently there have been multiple recipes for 2-ingredient whatevers. I am a sucker for them. Most of them are truly nasty BUT these pancakes are a different story. I made one batch for my husband with some trepidation. He came back to the kitchen with plate in hand and asked for more! Thank goodness I had more ingredients!